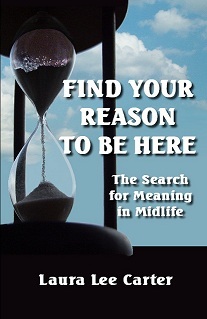 My new book: Find Your Reason to Be Here: The Search for Meaning in Midlife is out! This is the research project I have been working on for the past few years! Here I share essential information for boomers, those anticipating midlife, and the parents of boomers who want to understand their children better. Learn what’s normal and to-be-expected, and how to make the MOST of your middle years. This book includes so much new research on what boomers share emotionally, how they compare to their parents, where the idea of “midlife” came from, and the exciting new rite of passage we are experiencing for the first time in human history! Click here to purchase your own copy, and please do write a review on Amazon for me! Categories Ageism, Aging and intelligence, anger and revenge, Boomer Lit, Is ignorance bliss?, Midlife anger, Midlife Crisis Queen!, Older AND Wiser, What drives me NUTS! Did you know that a major industry has grown up around getting us all to hate our president? There were five hate books produced against George Bush. We now have over 60 produced to cause us to fear and hate President Obama. We received a hate video at our home yesterday which portrays our president as the devil out of deepest, darkest Africa. How desperate are those who feel the need to discredit Obama at every turn? VERY! 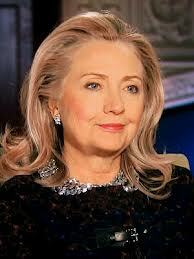 They are certain they can buy this election with their fear mongering, and they just might be right. If they had any interest in reality, they would know that Obama never lived in Africa, and basically never knew his Kenyan father. He met him twice for a few days in his early childhood, and then when he was ten. But pure and simple racism gathers an easy audience among the uneducated. The Koch brothers, the third richest billionaires in America, are bankrolling this effort to make us fear and hate our own president, as Obama struggles against an obstructionist Congress and hate-mongers everywhere, to bring us out of the worst recession since the Great Depression. In contrast, the expert propagandists have created an artificial dichotomy, one which tells us that Romney is a safer, whiter choice for America. I have to wonder how many of those voting this year know anything about the history or power of the Mormon Church? How many truly understand what Mitt Romney represents in terms of a woman’s right to control her own body? How many know that Mitt’s grandfather had 5 wives and 30 children, and had to move to Mexico to avoid prosecution as a polygamist? I have lived in Utah and seen the world that Mormonism hopes to create, and frankly, it scares me! In my only experience living in a complete theocracy, I learned that barefoot and pregnant is still alive and well in that culture. Women there are brainwashed to marry by age 20 and then quickly begin producing at least five Mormon kids, which they then raise in the faith. If you don’t believe me, go read Ann Romney’s life story. To the Mormons, Mitt’s election equals the next step in their fight to dominate America and then the world, and in case you don’t understand what’s going on here, this equals a giant step backwards for all social justice in our country. 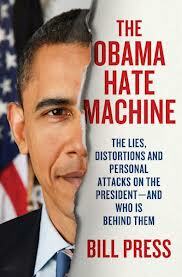 To learn more about the Obama Hate Machine, check out this book.